LW: For the reader, your new novel stares hard into the end of the world, or the end of worlds, of all kinds – the disappearance of a child, the end of the physical world, the end of orders of things and simple realities we take for granted. Can you say a bit about where the novel came from, and what was driving you to tell the story? AN: I’d say this novel arose from two great personal terrors: my anxiety about my daughter’s safety in almost every way a parent can imagine; and my ever growing anxiety about the consequences of runaway climate change twinned with overpopulation, but for our near future and not the future of distant generations. In a tiny nutshell, we’ve changed the chemical composition of the atmosphere mainly through burning coal for power and clearing land for farming, so the temperate climates required to allow a continuance of the inter-glacial period (in which we have flourished) are disappearing and changing. We’re also adding one billion people to the planet every 12 years, so humanity will be at 9 billion by 2040. Half of the animal and plant species on the planet will also be extinct by 2050. Surely, even the most hardened climate change denier, must acknowledge that these things must have consequences? Many densely populated parts of the world are now facing an acute fresh water shortage too. The problems created for the food production required to sustain us are further worsened by continual soil degradation and erosion (top soil drying out and getting washed away by unseasonal heat waves and rainfall, and by an exhausting cultivation of the land). When all of the variables are added up, including chronic economic inequality and its divisive consequences, and when you consider that we cannot reach agreement on much now, as a species, we may be facing a series of situations that will create the biggest migration of a species ever. Maybe this will occur this century, the incremental but monumental movement from the intemperate and failed to the temperate and ordered. I struggle to see how civilisation, as we know it, would not collapse when subjected to so many disruptive forces, occurring simultaneously, or close together. Take Syria for an example, which has suffered a drought for years. And that drought helped create the conditions for the current civil war that has displaced 9 million people, with 12 million requiring humanitarian aid. Imagine similar situations occurring repeatedly across a few decades in the middle east, North Africa, Equatorial Africa and some places in Asia (like Bangladesh from flooding). I don’t find this difficult to imagine at the rate at which the planet’s climate is changing and being overpopulated. Consider the disruption of violent storms, flooding, rising sea levels, droughts and huge forest fires, air toxicity, new pandemics caused by endangered ecologies, a gradual deadening of the oceans, disruptions to food aid and food exports, multiple failed states, civic unrest everywhere, and the rise and rise of organised crime. But occurring continually on an overpopulated planet until these situations become normalised. If we can imagine the effect such a continual momentum of disruption will have on human migration, amongst the 9 billion, then what will that scale of human migration, from failed states/increasingly uninhabitable regions, do to our values and humanity? And yet in art, to my mind, collapse and the apocalypse has become an epic fantasy and a vehicle for stories about the triumph of the human spirit in adversity. Only McCarthy’s The Road really cuts it for me now. I think the apocalypse needs to be reclaimed from the existential and made more urgent, real and seemingly inevitable. I don’t think there will be a whimper or a bang, but an incremental collapse with an unstoppable momentum that gets faster and faster, this century. When my infant daughter is my age, I think the world has the potential to be very different and far, far worse than it is now. So the story has come from years of reading about the earth’s historical changes, and human history, as well as the current alteration of the climate and those potential consequences for civilisation. I didn’t want to set this book at a far distant time, or in a state of post-apocalypse or post-collapse, because it then becomes fantasy. We don’t need a fantasy anymore. I actually think the dystopia and apocalyptic genres in all media are actually counter-productive now, so I set my story in a pre-apocalypse situation, that is very close to now, and recognisable to us in 2015. There is no greater horror facing all of us than what we currently face. LW: Although you are known as a Horror writer, Lost Girl is many things – a heartrending personal journey, a Science Fiction story, even an action thriller when the bullets get flying. But it is also Horror in the sense that some of the almost primeval concerns of your previous work come grimly to the surface in the portrayal of the Kings characters, and in a standout sequence in an old church that has the hallucinatory quality of a novel like House of Small Shadows. Was this something you were thinking about when writing the novel? AN: Good question. This novel was going to be about the incalculable horror of losing a child from abduction, and what I have described above of a world in a pre-collapse status that is never going to get any better. That should be enough horror for any palate. But I am a writer of the strange and supernatural by reputation too, and these preoccupations find their place through my interest in the medieval period, and in the figure of death as a character, and as a cultural force in history. When you consider how death was so commonplace during the Black Death, in which one fifth of Europe died, and when the end of the world, and of judgement day being called down upon us, seemed very possible, only the consequences of runaway climate change have the same potential to return that level of incalculable suffering, and that kind of dieback, to the near-future world. Death will be back on centre stage. So the iconic imagery and personification of death in history, and as a constant in everyday life, offered me a way of including the numinous and supernormal in this story. Though in a far more subtle and abstract way than I have attempted before. This cult of death offered me a way to write about the horrors of organised crime too. In television terms, this is more True Detective than American Horror Story. LW: The end of the world is certainly nigh in Lost Girl and the steadily unfolding symptoms of apocalypse are superbly constructed. Did this involve a lot of research – it all seems very chillingly realistic? And, in a sense, is there a political or environmental message in the novel? AN: Thank you. It was very hard to integrate so many ideas without resorting to polemic, or too much exposition, and it was a challenge to depict as authentically as I was able, our interconnected world, and how one disaster has such far reaching consequences that cause other crises. So I did an enormous amount of research and at one point believed this should be a series of novels, in which I imagined, decade by decade, changes to the earth and civilisation. I used only a fraction of the research and cut 26K words out of a late draft to preserve narrative tension and to avoid cognitive overload in the reader. As detailed as the novel is, I barely scratched the surface of what’s potentially coming at us. I began my research with what I was most familiar with, the climate – droughts, floods, heat waves, forest fires, glaciers, sea level rises, acidification of the oceans etc. But I soon realised that I could not only write about the climate. Other factors had to be considered too, because they are indivisible, like the invisible water trade (how the middle east is fed from produce from foreign farms), overpopulation, food exports, food aid, migration patterns, why states fail, the potential of pandemics from drastic changes to ecologies. All of these factors also made me more conscious about how our psychology will change accordingly through the normalisation of catastrophe and disaster – the changes to baselines of compassion and altruism, forgiveness, and notions of fairness – as we are paired down to protectionism, territorialism, and an even greater self-interest than we suffer from now. Our very attitude to death and each other will drastically alter. It was very difficult to balance all of that in one story about a man searching for a lost child. But the latter moral issues I mainly depicted in the lead character – an ordinary man and father who becomes a vigilante. I never really saw this as a political novel, more as a vehicle for connecting so many interlinked global problems and possibilities, within my imagination, until I terrified myself. And rather than depicting the end, I thought it far more effective to focus on a stage preceding the very worst outcome for us as a species, in which we are subjected to a climate holocaust. Writing this as a horror writer felt like the most natural thing to attempt – there is no greater horror than something of such an epochal nature. I’m not lobbying, though, but am bearing witness out loud to my own informed imagination. LW: In art, we seem drawn to the end of the world – particularly in recent time,as you say, in genre fiction and film and TV. What do you think is at work here and do you have your own apocalyptic ‘favourites’? AN: I think it’s perfectly human to occasionally look around and wonder how everything keeps going. Even a cursory appraisal of human history can make us think: why did anyone even bother trying to survive that? We’re egocentric too and cannot help fantasising vicariously, from positions of relative safety and stability, about the end game and how we would survive, and even triumph in it. How our dismal personal histories could be wiped away and how we could rise to new challenges and personal notions of heroism. We see the endgame, I think, in fictional terms, as opposed to historical terms, because that is the only way it is bearable. My two most enduring favourites are War of the Worlds by H.G Wells and The Road by Cormac McCarthy. Each depicts humanity in a more plausible and meaningful way for me. They transmit the requisite dread when confronting the idea of collapse. 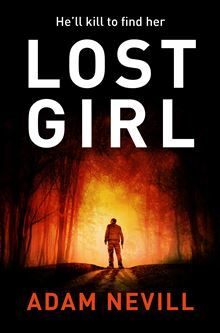 LW: Returning to Lost Girl, one of the great strengths of the novel is its rooting in an English setting, in the South West, and Devon in particular, with night forays for the central character out to Wiltshire, to Taunton, and further to Birmingham. Often, books seem to have to be set in America, for example, but you very rarely move out of this country in your work. Is this a deliberate choice? AN: Yes, I tend to set stories in places I am familiar with, that I can better visualise. As I often disrupt natural law, I need all the help I can get with plausibility and suspending reader disbelief, so going local is a practical issue of using what is more vivid in my own experience. LW: Can you tell us what you’re working on now, and what we can expect from you next? AN: I’d be delighted to share that and thanks for taking an interest. I am at work on a novel of psychic terror, somewhat different to the brutality and violence of the last two books. Yellow Teeth is a bloodless affair and it’s a novel about intrusion, about a life invaded by unstable but determined forces from one’s own past. It’s also about failure and success and resentment. And it is a novel about the infliction of manipulative behaviour into someone’s life and the resulting paranoia and psychological entrapment that engenders – something I keep returning to. Developing the ideas for a book and a new world is the most compelling part of writing, and augmenting them with research is an exciting process and seems so filled with potential. And it has to be to launch the long and arduous process that writing a novel can be. But, for me, the next step of writing the first draft is the hardest and most problematic part of the whole process, and is fraught with feelings of despair and futility, as well as those of euphoria. It’s a bi-polar experience. Because those burgeoning ideas that compelled me to even start the book soon need to be transformed into a narrative that is driven by tension and drama and suspense – it has to be a story filled with characters that work. Ultimately, for me, the book has to be a piece of writing that transports me, and the eventual readers of the books too. I don’t just want to write a plotted story. And that also takes a long time to achieve over successive drafts. Rewriting successive drafts and improving the structure, adding internal fluency, and improving the language line-by-line, is the most rewarding part of the process, right up until the proof stages. I usually hit around ten drafts of each book now, with the last draft being very different to the first. 14 drafts is my record. For those right at the beginning of writing a novel, and trying to get a first draft up and dancing, before you even get bogged down in structure, characterisation, plot, and outlines, I’d try writing a few images from the story that you most want to write. Do this to free your own core preoccupations, even strangeness, and to try and establish a voice and tone to direct the larger story to come. Try and make the work personal, and your own. These sketched images may develop into situations or even scenes. Unless I am really invested, intimately, in what I first try to describe, writing just becomes homework. And sometimes, the very act of writing itself can give you the rest. Adam Nevill was born in Birmingham, England, in 1969 and grew up in England and New Zealand. 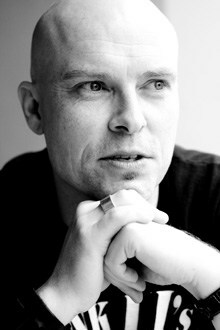 He is the author of the supernatural horror novels Banquet for the Damned, Apartment 16, The Ritual, Last Days, House of Small Shadows, No One Gets Out Alive and Lost Girl. In 2012 The Ritual was the winner of The August Derleth Award for Best Horror Novel, and in 2013 Last Days won the same award. The Ritual and Last Days each won the RUSA for Best in Category: Horror.